Cool Savings Bond Alternative | The Secret Formula! "Give a kid a savings bond and you take care of them for a day. 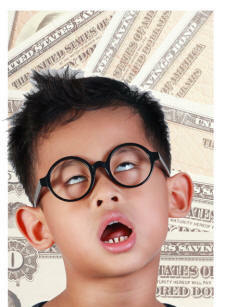 Teach a kid money skills and you take care of them for a lifetime!" One share of stock can change a kid's life. 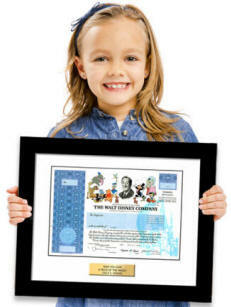 Give them a framed share of stock in a company they love! Recipient becomes a real shareholder - one share. Kids learn by experiencing ownership. Each mailing from their company is a learning opportunity. Entitled to declared dividends, annual reports, invites to shareholder mtgs. A good thought but boring because kids can't relate. Get filed away and forgotten.